On November 21st 2018, A cyber security joint analysis lab ，named BIT-Antiy Joint Lab ，sponsored by Antiy Labs and BIT was launched at the Information Science Experimental Building of Beijing Institute of Technology (BIT for short), and a technical seminar was run at the same time. Prof. Luo Senlin, the director of the BIT Information System and Security Countermeasure Experiment Center and the co-director of BIT-Antiy Joint Lab, hosted the seminar. 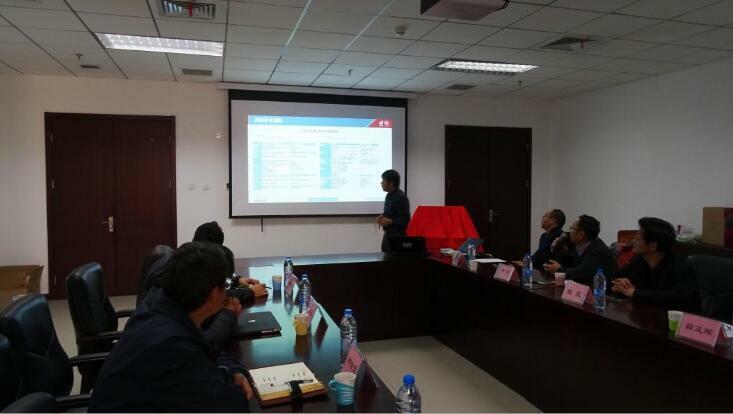 Xue Zhenghui, secretary of the party committee of the School of Information and Electronics, and He Gongdao, the deputy director of Antiy Technical Committee, gave speeches at the seminar separately. Zhang Ji, dean of the School of Science and Technology；Chen He, deputy dean of the School of Information and Electronics；Wang Xiaofeng, senior R&D vice president of Antiy；Luo Yunfeng, director of Antiy public affairs department, and members of the joint lab attended the seminar. Xue Zhenghui, secretary of the party committee of the School of Information and Electronics, said that BIT is among the first institutes to establish information confrontation major in China, and has first-class research and teaching force in network security, data mining, text security and media security. Antiy is a national-level network security emergency service support unit that leads the development of threat detection and analysis capabilities. By building a joint lab with Antiy, he hopes to integrate research and teaching with engineering technology practice, and promote the synergy of the security industry and the academia. He Gongdao ，Antiy Vice President ，pointed out that in order to cope with the increasingly serious cyberspace security situation, Antiy continues to strengthen its threat detection engines and support platform systems, and is committed to building a tactical situational awareness platform and a series of capability-based security products. Antiy also applied deep learning techniques to automated analysis of back-end samples. BIT is in a leading position in the field of information security and artificial intelligence. By establishing a joint lab, BIT’s research and teaching talents can be emerged with Antiy’s engineering capabilities, promoting the application of artificial intelligence in network security field. During thetechnical seminar session, researchers from both sides delivered speeches entitled "Artificial Intelligence-Based Malware Analysis" and "Machine Learning in Engineering Technology", and exchanged their views. Antiy has long been committed to combining manual analysis with automated methods, to improve the efficiency of threat analysis. In 2001, Antiy proposed applying the industrial pipeline concept to malware sample processing, realizing automated feature extraction of binary samples. In 2004, Antiy realized automated full-sample analysis and determination, and then completed the development of the integrated analysis environment, and gradually realized dimension reduction of manual analysis and the iteration of the manual analysis experience to automated analysis. At present, Antiy conducts automated analysis of millions of new file samples every day, and performs dynamic and static analysis on each of them. Each sample is being dissected into different threat vectors, sample ?size processed daily up to more than 10TB. As threats continue to ?evolve, Antiy recognizes that security vendors should not only accelerate their own threat capture, threat analysis and capability development, but also establish a closed-loop with adversaries in it, so as to improve the customer’s ability to detect threats, shorten the time span of threat discovery, and improve the effectiveness of security posture. Relying on the joint lab, Antiy and BIT will promote the exploration of artificial intelligence, data mining and other cutting-edge technologies, and cooperate on scientific research, resource sharing, academic exchange, and project application, etc., forming a mode for university-enterprise cooperation, composite talent training, as well as engineering/academic achievement exporting. Universities and enterprises are limited by their own roles and modes, and in the past, there were certain limitations in their high-level cooperation. Most of the network security research in universities lacks the support of mature engineering capabilities, some research is even repetition of the work done by network security enterprises. Moreover, most of the network security enterprises and engineers are engaged in product and support development, lacking forward looking, follow-ups and theory transforming. In their cooperation, Antiy adheres to the principle of complementary advantages, narrow-band focus, practice-oriented, and the pursuit of leading edge. As for the direction of cooperation, Antiy selects the areas that they have engineering ability and data foundation and BIT has academic accumulation in the same time. In the cooperation, they give spaces to the theoretical advantages of BIT, and the basic engineering capabilities and data advantages of Antiy providing platform resources, engineering resources and big data resources, helping BIT form high-level academic achievements with forward-looking and practical prospects, and promoting the transformation of scientific research results into effective security values.